Brief Description: One of the world’s most common broadleaf weeds. Yellow flower that turns into a small ball of seeds that float in the air. Tooth-like leaves and thick roots. 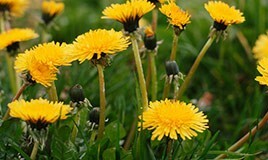 Dandelion is a very common weed that threatens lawns on a regular basis. It is well known by both its yellow flower – which looks in some ways like a small sunflower, since the two are related – and by its seed heads, which are rounded and float when blown. Interestingly a dandelion flower isn’t one flower, but several smaller flowers clumped together. Dandelion spreads naturally, and is one of the few weeds that may be spread semi-on purpose by humans. Many children and adults pick up the seeds and blow on them to watch them float in the air like parachutes. 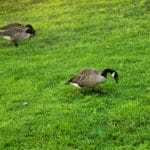 This spreads the weeds around lawns. Dandelions are edible and nutritious, so when you do find them in your yard you can easily turn them into a salad. 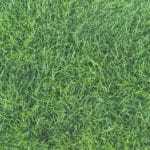 But they are also irritating broadleaf weeds that can ruin a lawn, and when you find them it’s best to remove them as quickly as possible. Dandelion prevention starts by attacking the dandelions early. Some find that if you grab them before they’ve seeded and pull them out by the root, they may not grow back. Unfortunately, in most cases this does not work because the root can grow almost 3 feet in length. It is also recommended that you mow higher up. Dandelion seeds like heat, and higher lawns are both stronger, and have less heat. 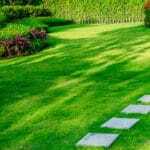 Thick, healthy lawns may choke dandelions out as well. But if you already have a dandelion problem and need them to be removed, consider broadleaf weed removal from Green Lawn Fertilizing. 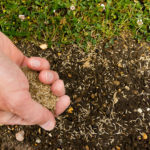 Our affordable services can help you eliminate dandelions and keep them from coming back. Find out more by giving us a call today.